Over the holidays my dad and I took a ride over to Fort de Soto. It was the first time I’d been there in almost two years. Wow has it changed! The North Beach picnic grounds look so different with all the Australian pines removed, and Hurricane Matthew did significant reshaping of the beach. But the birds were still there. Even at midday when we were there, we had some great photo ops. Including a seahorse surprise! 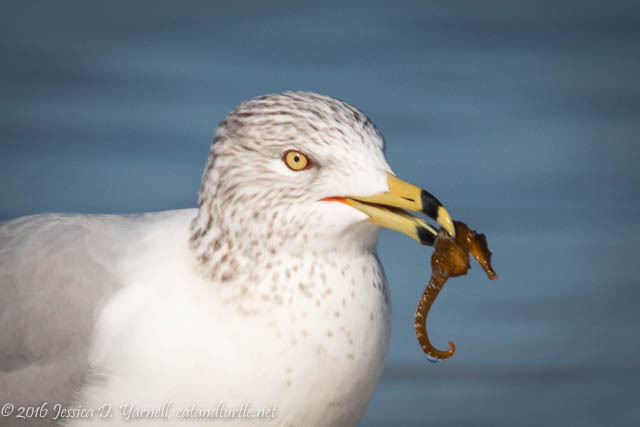 Ring-billed Gull with Seahorse. View this larger on 500px. 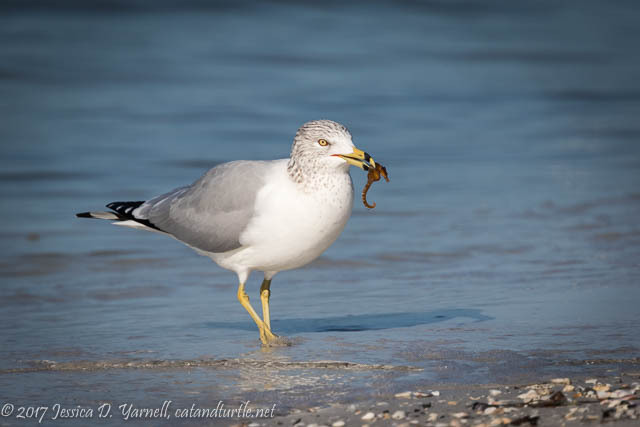 We had just arrived at the beach, and I spotted the gull playing with what I assumed was seaweed. I almost didn’t take a picture. But I did, and you can imagine my exclamation of surprise when I viewed the images large on the computer and discovered not seaweed, but a seahorse. It’s the first one I’ve seen on a beach. Actually, the first one I’ve seen not in an aquarium. Take a moment to view the image larger on 500px, or here is a crop showing off the seahorse. Pretty cool. Just not for the seahorse. 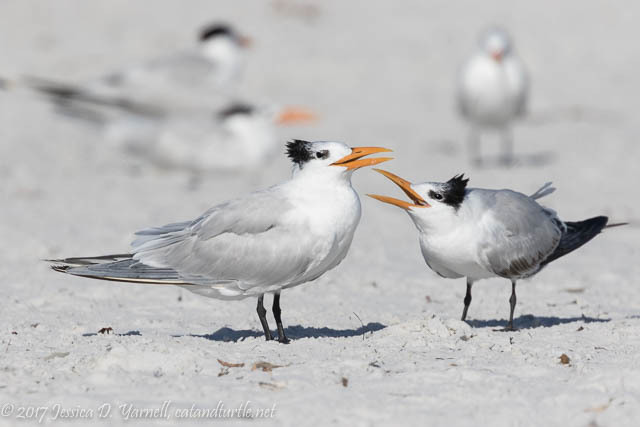 A small flock of gulls and terns were hanging out on the beach by the bird sanctuary. I was surprised to hear the nagging call of a juvenile bird begging for food, and sure enough, we spotted two juvies doing the dinner dance. At this point I believe they are capable of fishing for themselves, but of course it’s easier to ask Mom for a snack. 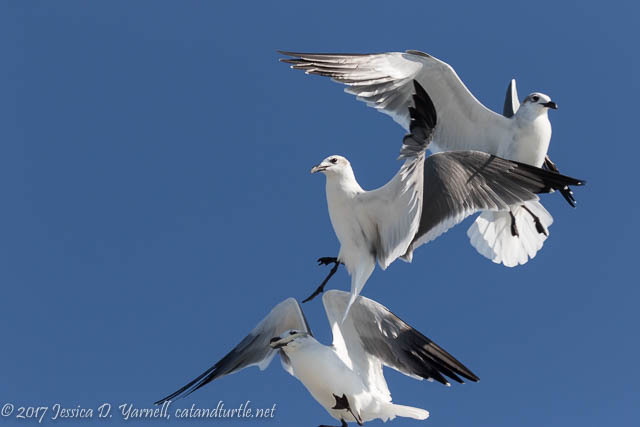 One of the Ring-billed Gulls stood apart. He looked very pretty against the white sand. We wandered up and down the North Beach, spotting my dad’s lifer Spotted Sandpiper in a mangrove cove. At the lagoon area, the sea grass vegetation that was planted around the time of my last visit has been growing up. 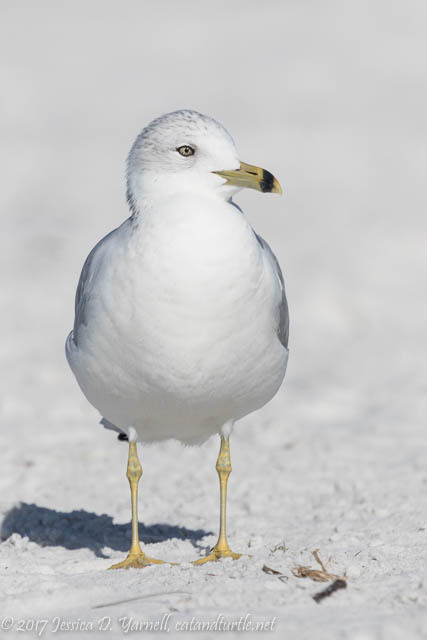 The bird photography there will certainly be different now that the plovers’ favorite mud flat is covered in grass. Floating peacefully in the water was a Red-breasted Merganser. 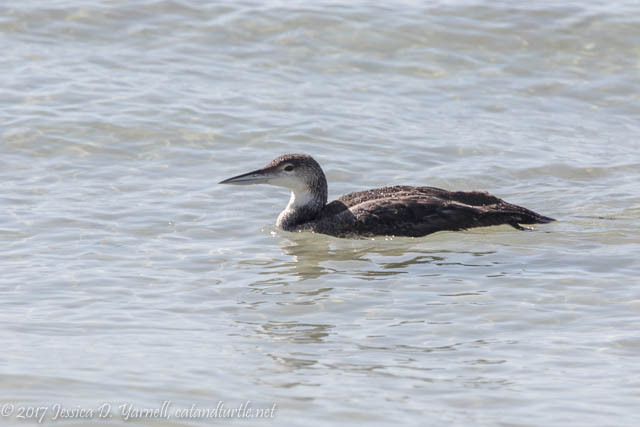 This was a very nice bird – when I asked her to swim closer, she did! 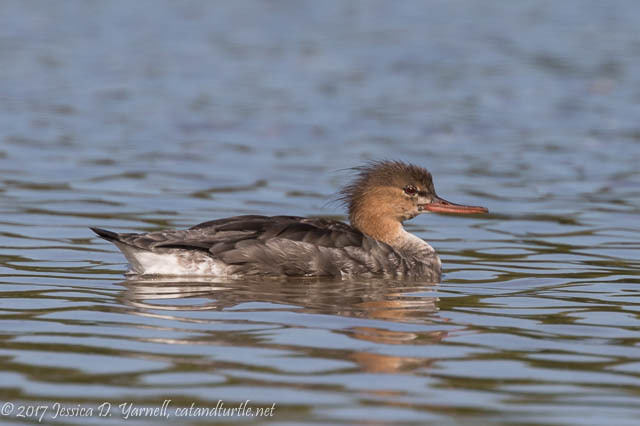 The nice birders who told us where to find the merganser also said we should check the pier for a Black Scoter seen earlier in the day. So we did. 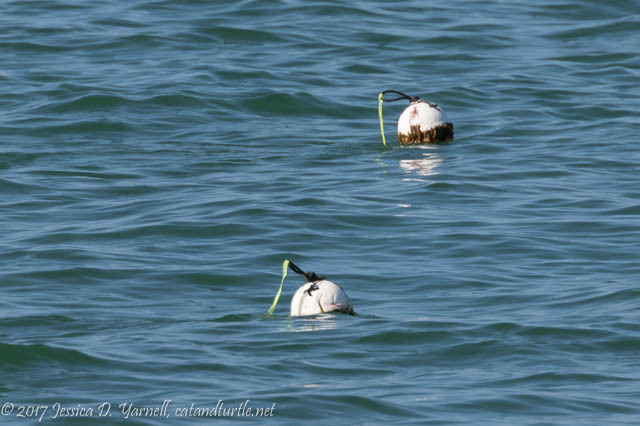 Alas, instead of my lifer Black Scoter, all I could find were my lifer buoys! It was a great walk on a nice day. It’s always fun to hang out with my dad. This was after Christmas, but people were still celebrating. 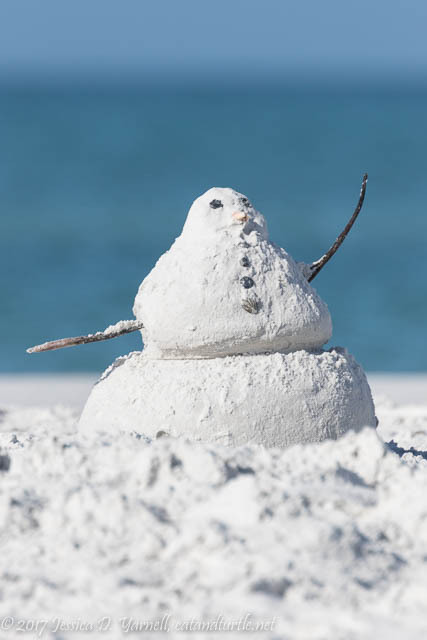 Just look – a Florida snowman! Unlike Frosty, he won’t melt…but he’d better watch out when the waves come in.